Every once in awhile, it’s fun to help out a fellow historian! Take a look at the photo included with this post. For all of you born in the 1800’s (ahem), maybe this will jar your memory. 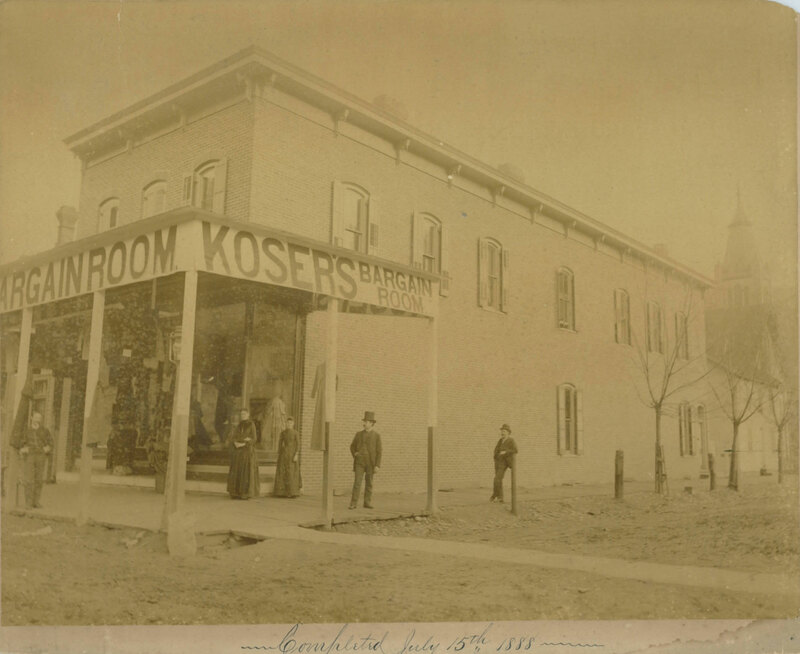 This photo has been hanging at the Historical Society with the hopes that someone could help identify the building, its location, or even any of the well-dressed folks hanging around outside. Use other buildings in the photo for clues. Note the beautiful church in the background. Anyone know of someone researching the KOSER family? That’s obviously a big clue, too! Think you know something that may solve the clue? Leave a message here – OR – contact the Historical Society at jchs1931@juniatacountyhistoricalsociety.org. Let’s get this mystery solved! 2 Responses to Help Solve a Mystery! In response to the picture awaiting identification, I believe it still stands in Mifflinburg at the southeast corner of 5th and Chestnut. Most recently it was a martial arts studio and then placed for sale. Thanks for the info, Johanna! We’ll be sure to pass it on to the person seeking a location.